Beni Snous or Aït Snous (in berber: ⴰⵢⵜ ⵙⵏⵓⵙ, Ayt Snus and in Arabic: بني سنوس‎) is a town and commune in Tlemcen Province in northwestern Algeria. 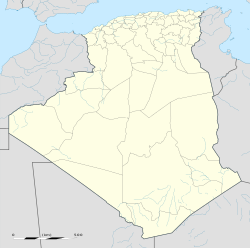 Beni Snous Commune's territory is situated in the west of the wilaya of Tlemcen. The city of El Fahs (Beni Hammou), is situated at 41 km in the South-West of Tlemcen.